A prestigious, gourmet gala event that each year raises money for a charity—2011 supported the Marie-Vincent Foundation. Create the 2011 graphic platform of the prestigious La Vittoria benefit gala: a dream evening of gastronomy to raise funds for the Marie-Vincent Foundation. Draw inspiration from the cities of the evening’s invited chefs: New York (Daniel Boulud) and Paris (Christophe Michalak). The logo of the 2011 La Vittoria benefit supper showcased the contrasting styles of the cities of the two invited chefs. 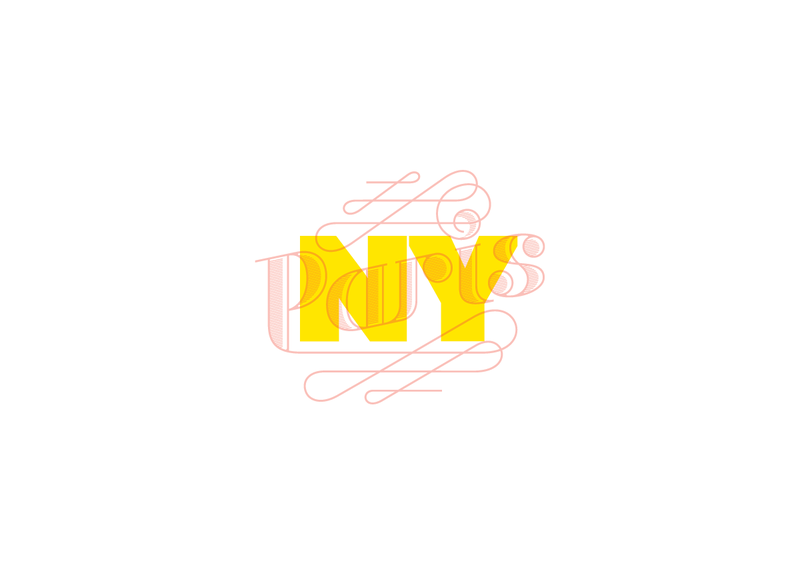 The black-stroke typeface and geometric shapes, as well as the color yellow are a salute to the urban style of the Big Apple. The antique rose combined with intertwined serif typefaces transport us immediately to the romantic City of Light.